Naby Keita is a Guinean professional football player who runs with English Premier League side Liverpool as a central midfielder. The story of Naby Keita is one of determination, passion, struggle, and grand achievement. From selling ice-cold water and playing football on the streets of Conakry, Keita has found himself strutting his stuff on magnificently laid pitches, under the lights in some of football’s most celebrated stadia. ‘Deco’ as he is fondly called, is surely living his boyhood dream. What is Naby Keita known for? A Guinean professional footballer who plays as a central midfielder for Premier League club Liverpool and captains the Guinea national team. When was Naby Keita born? Back to his early life, Keita was born in Conakry, the capital city of Guinea. As his mother would later say, little Keita would play football with anything he got his feet on. It was only a matter of time before he hit the streets with real football. He was born to Miriam Camara and Sekou Keita. 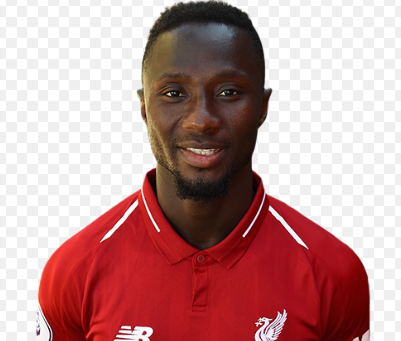 His birth name is Naby Laye Keita; the Guinean also has the name Deco given to him because of his similarities with the Portuguese and former Barcelona midfield maestro. His childhood home was in the football-centric Koleya, a part of Conakry. Keita recalls those streets saying his parents were not initially sold on the idea of their son playing football because they felt education was the most important and more likely to guarantee him a stable life. When did Naby Keita pursue his football career? Naby Keita joined his local side and hometown club Horoya AC when he was aged nine. In 2012 when he was 17, he traveled to France to undergo football trials. He showed off his skills well enough at a tournament organized by the former Celtic defender and fellow compatriot, Bobo Balde. He was signed by Ligue 2 side, FC Istres. This was after unsuccessful trials at Le Mans and FC Lorient. In 2013, he was promoted to the first team of FC Istres. He scored on his debut in a 4-2 victory against Nimes Olympique. Keita made more than 20 starts in his first professional season and chipped in with 11 goals. His efforts were however not enough to stop FC Istres from dropping into the Championnat National, the third division of French football. Red Bull Salzburg paid FC Istres 1.5 million pounds to sign Keita in 2014. His debut came in the game against Werner Neustadt on July 26, 2014. He scored his first goal for Salzburg in a 3-1 Europa League win over Scottish giants, Celtic in November 2014. While at Salzburg, Keita met future Liverpool teammate, Sadio Mane. The pair hit off a friendship before Mane transferred to Southampton in England. Keita ended his first season in Salzburg making 30 appearances scoring five goals and assisting two. He also won the league and cup double. In his next season, Keita continued to excel making 29 appearances, scoring 12 goals and helping his team defend their league and cup double. Red Bull Salzburg sold Keita to RB Leipzig, their sister club in June 2016. The deal was worth 11 million euros and the German side with Keita in it, would go on to make an impression in their German Bundesliga bow. Keita’s time at Leipzig began with a bang as he scored on his league debut, the 89th-minute win over German giants Borussia Dortmund. By the end of his maiden campaign in Germany, Keita had scored eight goals, assisted seven and played in 31 games. His team RB Leipzig qualified for Europe’s premium club competition – the Champions League at the first time of asking. Named in the Bundesliga team of the season, Keita’s exploits were not lost on the footballing world and soon, English giants Liverpool came calling. A deal was struck as his release clause of 48 million pounds was activated with a premium of 14 million pounds paid as Leipzig qualified for Europa League, bringing the total fee to a whopping 62 million pounds. Keita, however, remained with Leipzig for a further season, scoring six times. Keita joined Liverpool officially on 27 June 2018. He took up the number 8 jersey of the iconic Steven Gerrard and is ready to thrive on his new stomping ground, Anfield. Does Naby Keita have a girlfriend? Reflecting his personal life, Keita is an unmarried man. We have not a record of his relationship. If you have, please share with us by using comment. He is very dedicated to football and his club Liverpool and focuses totally on his career. In the way, you could say that he is engaged to LFC! 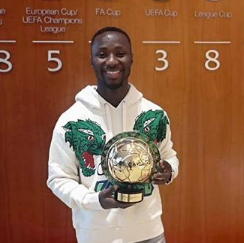 How much is Naby Keita net worth? In the summer of 2018, he signed an amazing 5-year contract at The Reds which will give him an annual salary of 6.9 Million Euro (6.2 Million Pound) at present. His current net worth is currently estimated at 9 Million Euro (8 Million Pound), but with his current earnings this will double up soon. In today's crazy transfer market the gifted midfielder from Guinea has a market value of 65 Million Euro (58 Million Pound). How tall is Naby Keita? Observing his body statistics, Keita is not one of the tallest players you would ever meet. Diminutive, with a low center of gravity, Keita’s stature lends to his quick feet and dynamism. He stands at a height of 5 feet 8 inches and weighs in at 141 pounds. His other body information was not disclosed yet. In the case of disclosed, we will let you know. At the aged nine, He joined his local side and hometown club Horoya AC. His market value is 65 Million Euro at present.